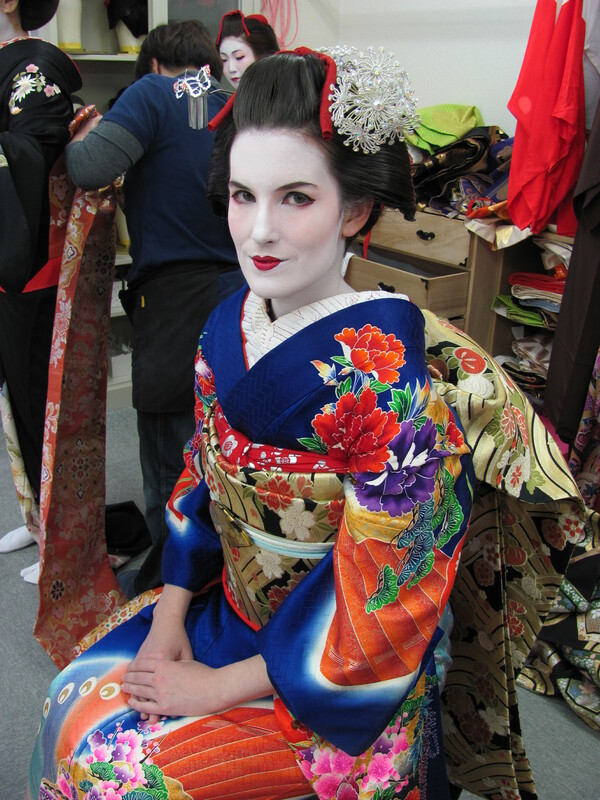 Maiko Dressup: Take Two! | Ready, Set, Kimono! 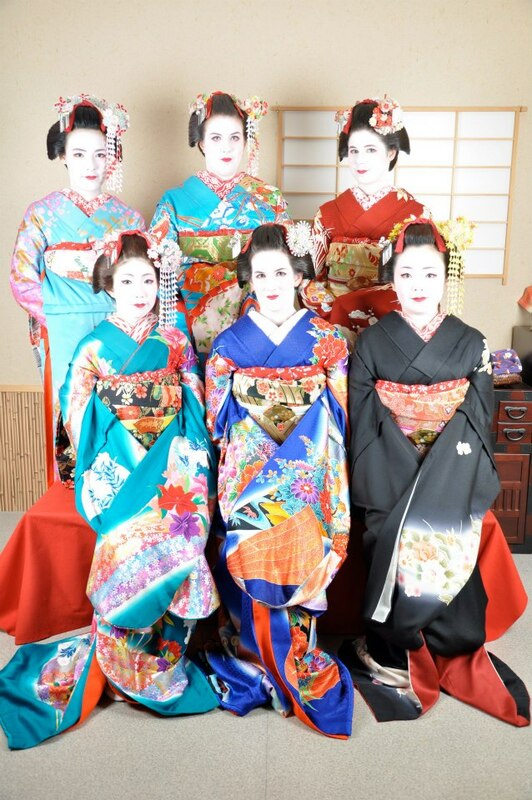 The second time I did a maiko dressup, I went with some friends of mine. 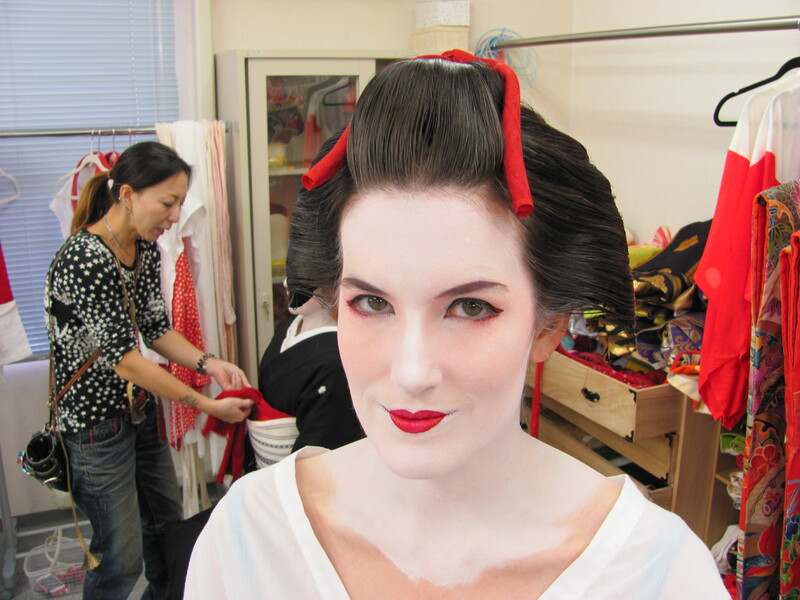 I didn’t do any of the booking, but my friend managed to find a studio right in front of Kyoto station that included hair, makeup, dressing, professional photography, and a trip outside for about 10,000 yen. Just a warning, this post is mostly photos. My last moments before they start applying the makeup. 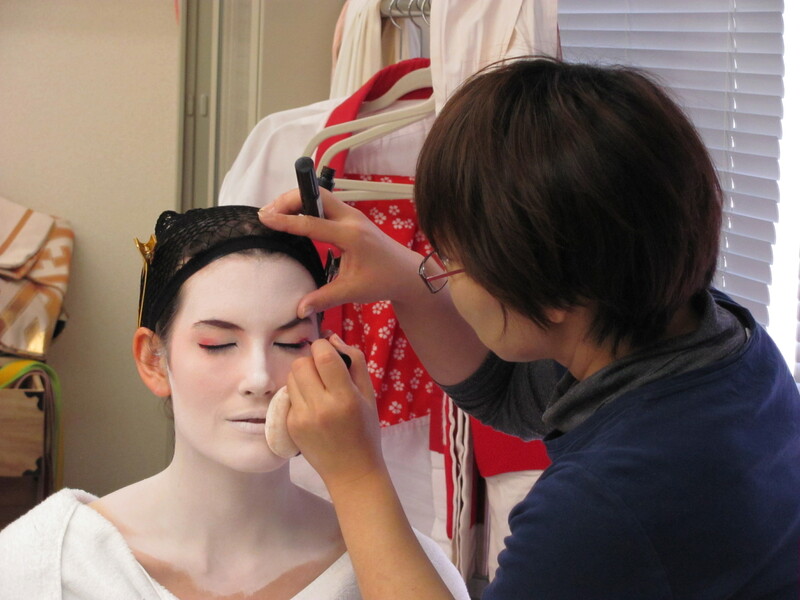 Getting the distinctive maiko neck makeup applied. The cold makeup made shivers run down my spine! 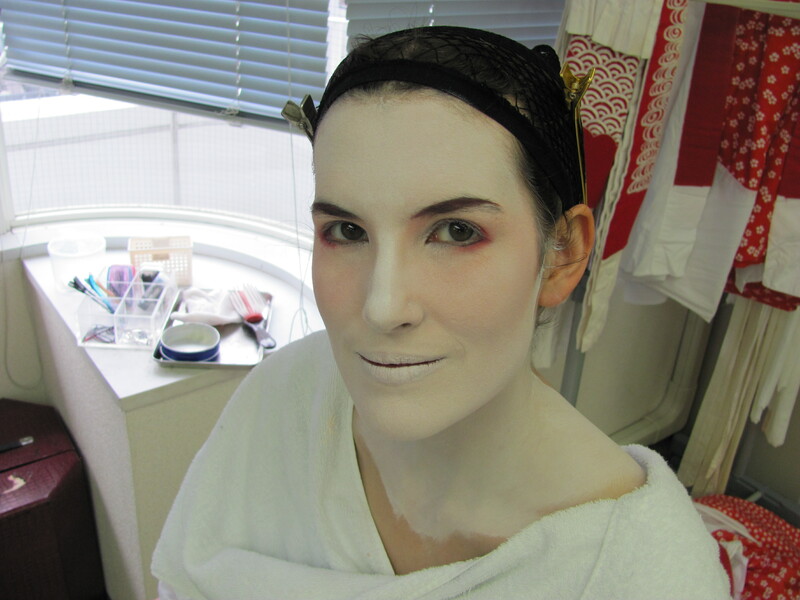 They applied pink blush under the white so I didn’t end up looking completely like a ghost. 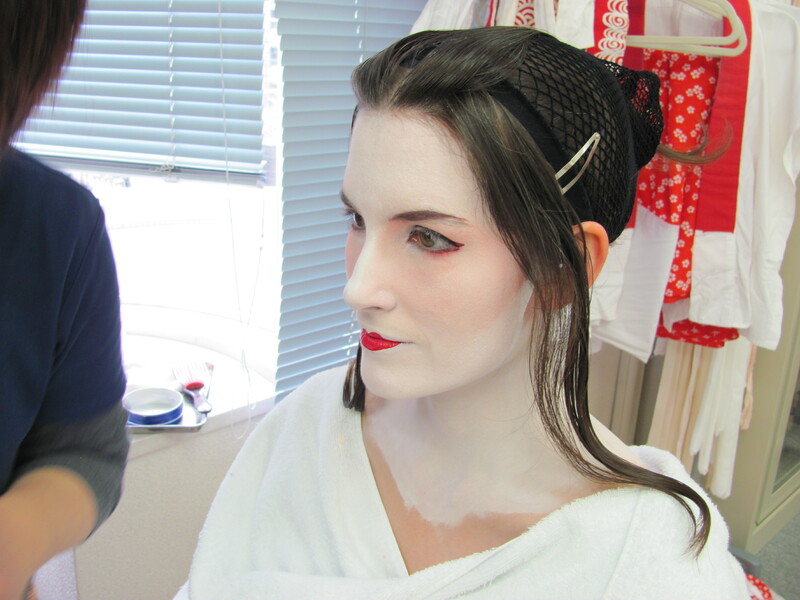 The “pure white” makeup before they add the details. You can still see a hint of the pink around the eyes. Getting the details applied to my eyes. Almost done! Just the lips left. After makeup came the wig. 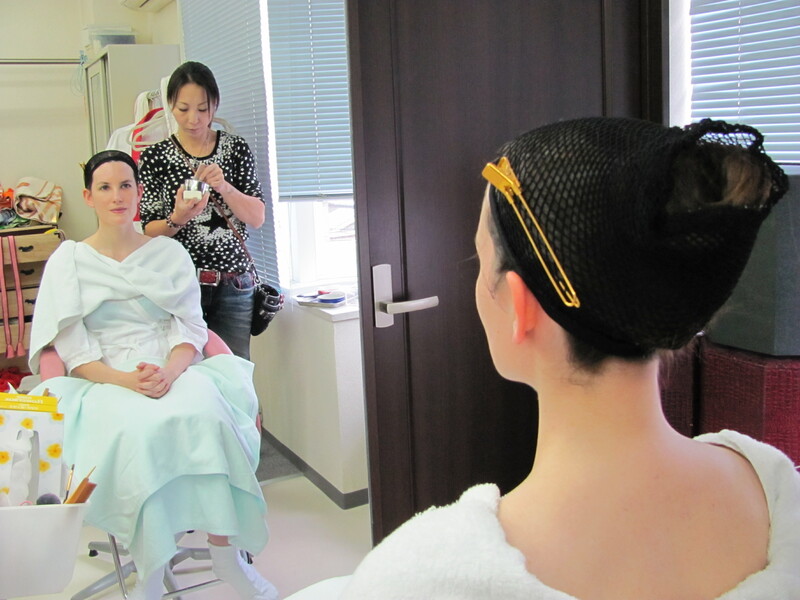 Here, they are brushing out some of my hair to cover the top and sides of the wig so it looks like it’s all my hair. 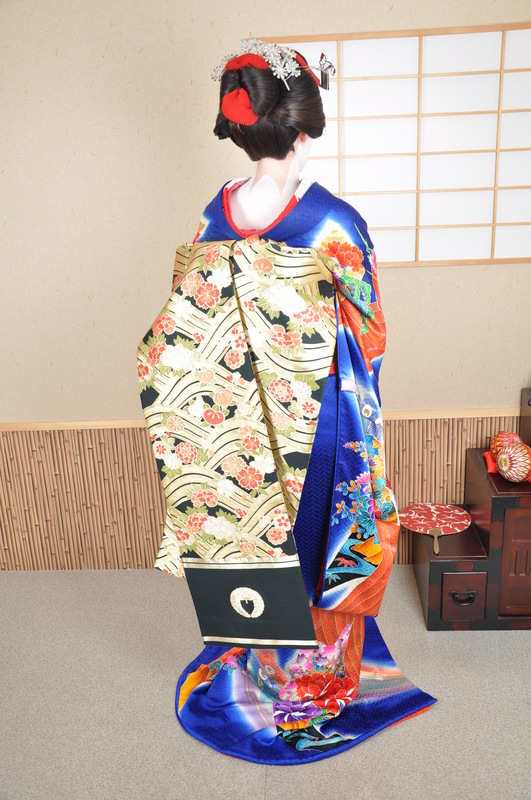 Finally, dressing in kimono. 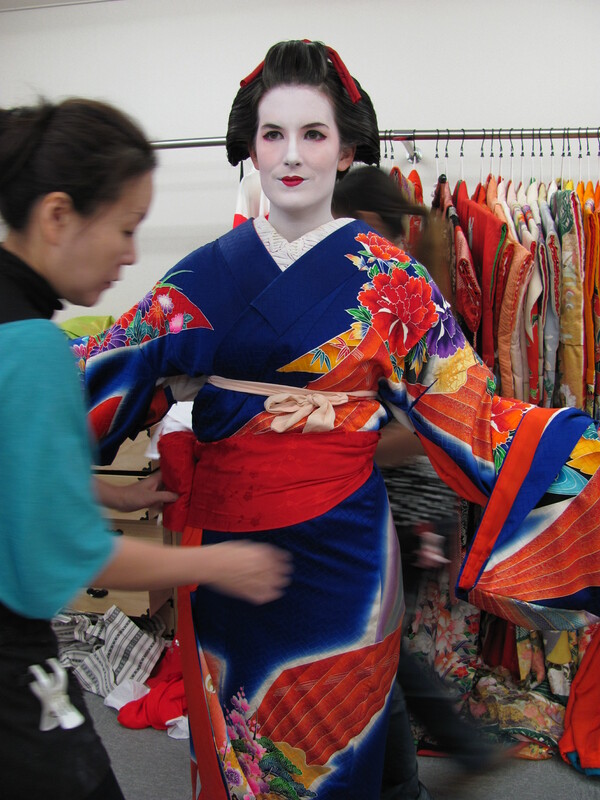 They had a good selection of kimono and obi to choose from and they took care of all the dressing. Starting off with the juban. You can see their selection of kimono behind me. Getting dressed up like a doll. All I did was stand there with my arms out. 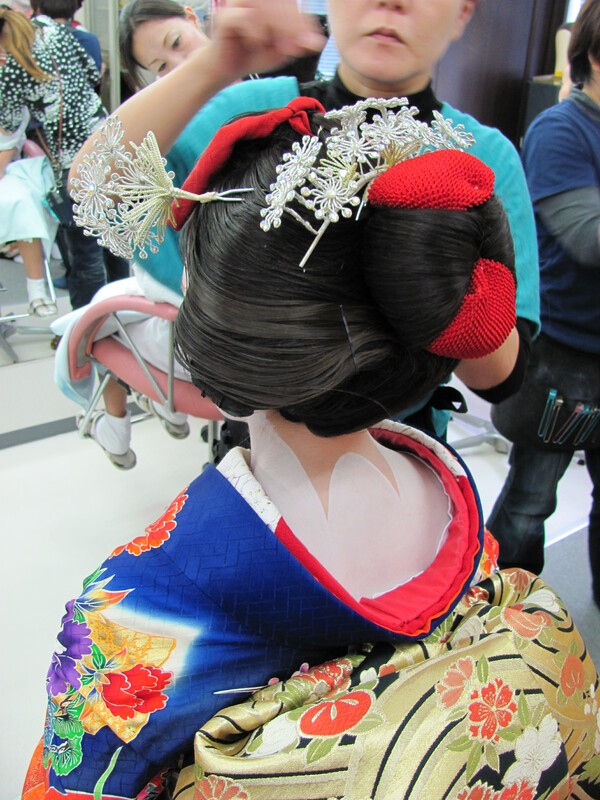 Getting kanzashi fitted into the wig. I let the professionals choose them. The final product! Two of my friends are getting dressed in the background. I was having so much trouble “smiling” during the professional photos. I always smile, but I know that maiko don’t. I was trying to do a half smile, but it comes out as a bit of a smirk. Oh well. All six of us dressed and ready to go. Everybody else went out to walk around town in their kimono. Unfortunately, I had tickets to see a stage production in Osaka that night and I had to leave early. It took longer than expected for all six of us to get dressed. I definitely enjoyed this experience more than my first one. It was a lot more professional and they weren’t trying to rush us through. I also discovered a reason why maiko would blacken their teeth. With all that white makeup on, it doesn’t matter how white your teeth are, they will always be yellow in comparison to your face! I hope you enjoyed seeing my transformation! And thank you to whomever was holding my camera and taking pictures. I know it got passed around a lot. Miss you guys! 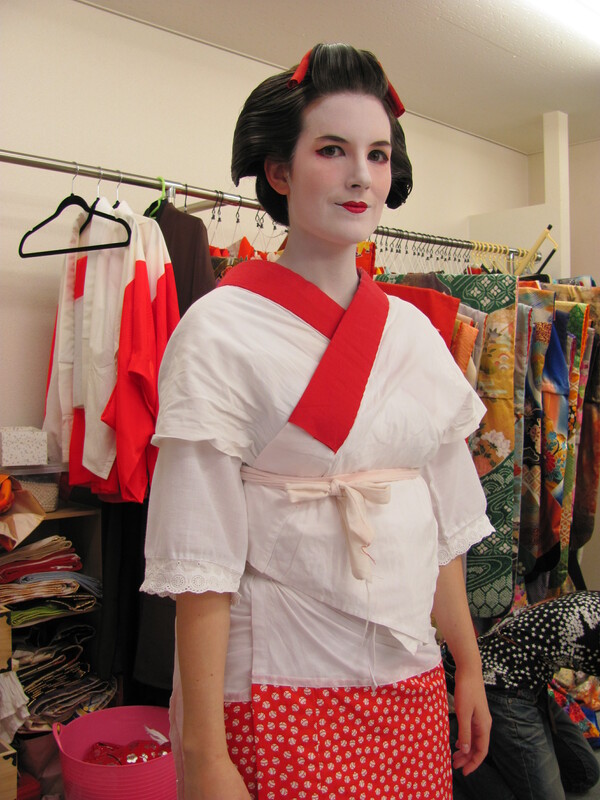 ← Maiko Dressup: Take One! 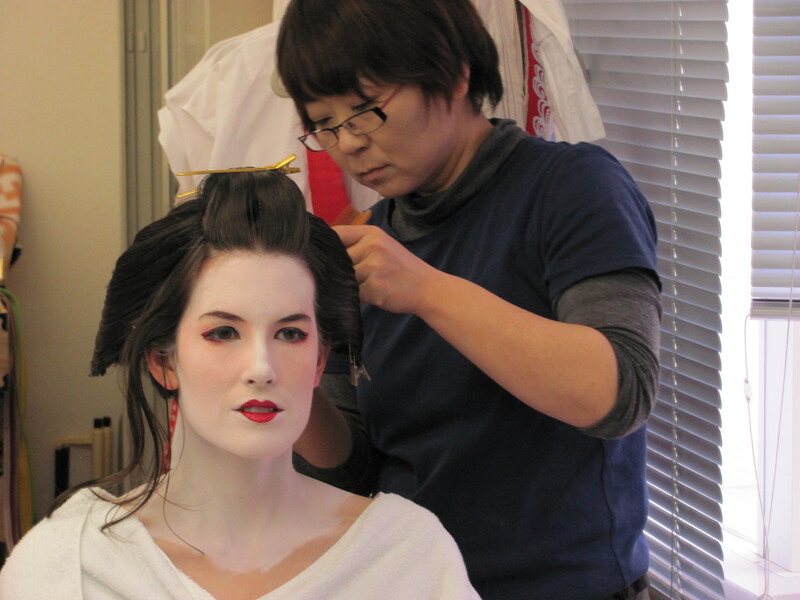 What do Maiko use to blacken the teeth with? Hello Denny! Sorry for the late reply. I’ve been researching and nowadays, maiko only colour their teeth for very formal occasions. 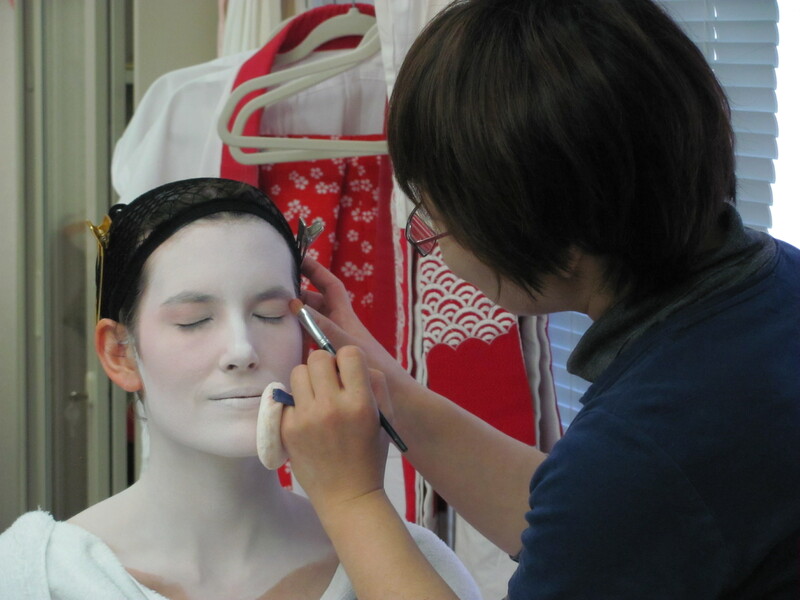 According to a former maiko, they use wax to blacken their teeth. They have to dry their teeth entirely before applying the wax and they can’t eat or drink anything after because it causes the wax to melt. 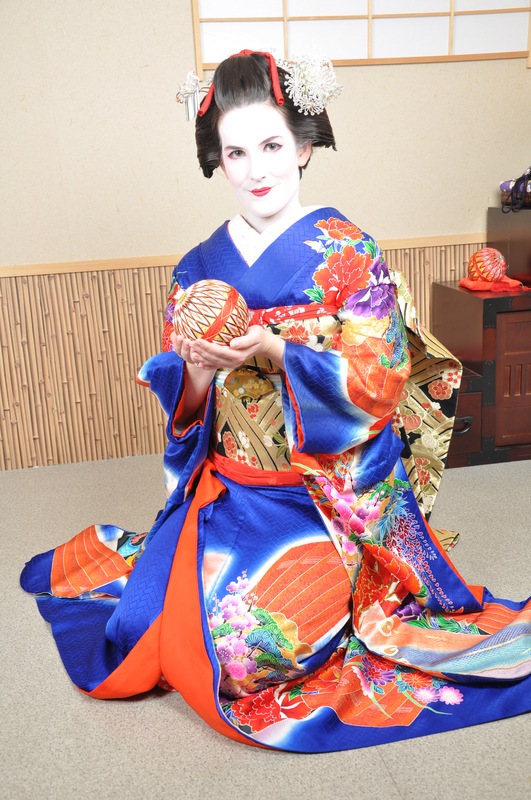 The maiko’s (now geisha’s) name is Komomo and she has a book published called A Geisha’s Journey. Here’s a link for it. Hello, I’d really like to know this studio name please, I’d like to go there for my first trip in japan. Thanks! Hello Funny! I’m sorry it took me a few days to get back to you. I had to hunt down the name and contact details of the company. It’s called Kyoto Aoi and it’s a five minute walk from Kyoto station. Their website is http://www.kyoto-aoi.com/ Unfortunately it’s only in Japanese. If you don’t speak the language, Kyoto has a wonderful tourist information center in the station with bilingual staff. Perhaps they can call for you and make a reservation. I’d love to see your photos if you decide to get dressed up. Enjoy your trip!